Fine white stolons arise from the short vertical rhizome in late spring and summer to form new satellite plants for the following season. Stolons produce leaves along their length but do not form closed (cleistogamous) pods as do V. macloskeyi and V. blanda. 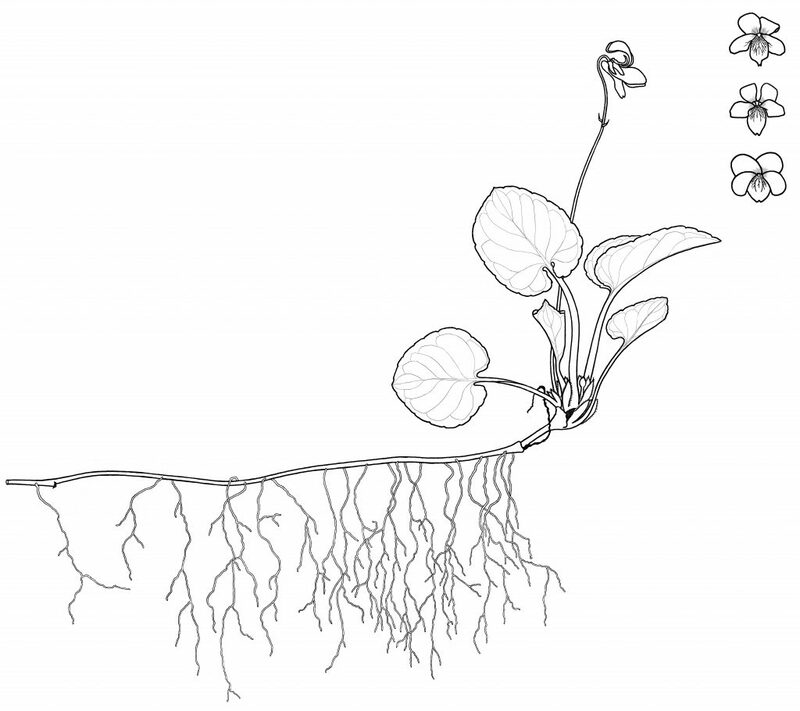 Closed pods are only formed from the top of the rhizome, on short peduncles. Thin light green leaves are cordate or ovate, obtuse, with short lobes, a narrow sinus between the lobes, glabrous on both sides or with pubescence on the lower surface, 2-6 cm long. Petioles either glabrous or more often with fine scattered hairs. Stipules pale green or pale pink, glabrous, 0.4 cm. 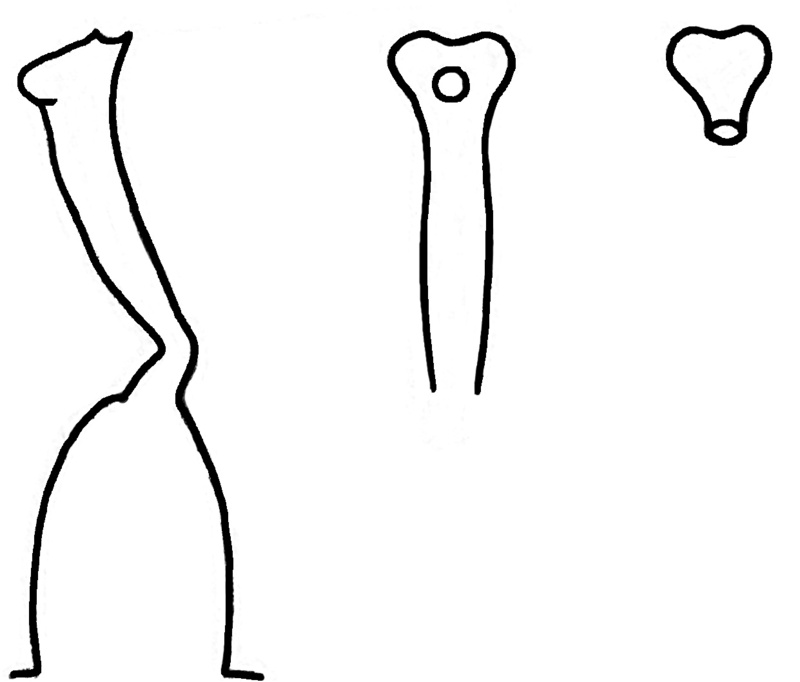 Sepals glabrous, long, lanceolate, sepals plus appendages 0.3-0.4 cm long. Flowers have a strong perfume when warm, upper petals are broad and reflexed, lateral petals point forward but are not twisted, beardless or with a few hairs, lowest petal with sharply distinct purple guidelines. The head of the style is pale yellow-green, projected into a small beak with a narrow stigmatic opening. 2n=4x=24. It has always been difficult to separate V. pallens from V. blanda especially in more northerly populations. The presence or absence of beards on the lateral petals or pubescence on leaves and petioles are not consistent enough to separate species. If growing together these two species may form hybrid populations. Its habitat is usually in or near flowing or standing water, in cold open bogs, ponds on mountain crests and in moist lawns. Locations are wetter than the rich woodlands typical of V. blanda. In the mountains of Vermont, V. pallens ascends some 2000 feet higher than V. blanda. Wet growing conditions seem to be more important than soil pH for this species. In the area of the the Great Lakes it is often growing where the underlying rocks are limestone. However, the soils of the Appalachian mountains are acidic, of metamorphic origin. It can be found in hemlock forests, or under cedar trees (Juniperus virginiana) with lime-loving plants. 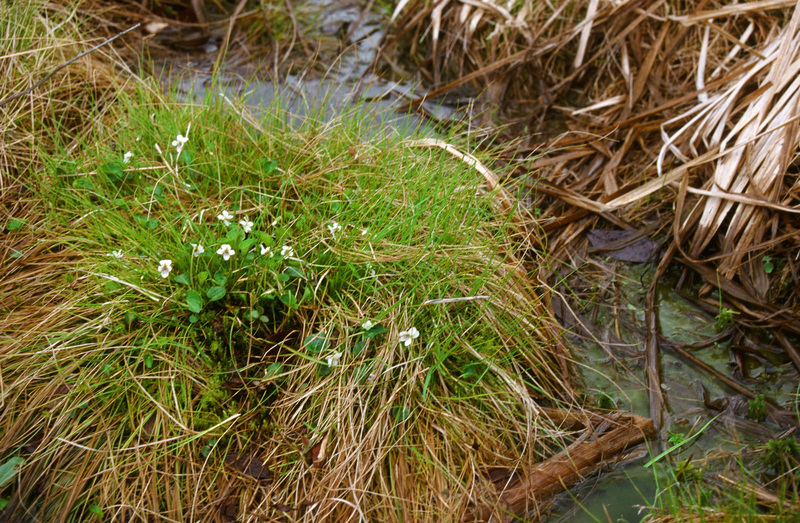 In bogs, decomposing plant material must acidify the water. In Canada V. pallens ranges from Labrador and Newfoundland, to western Ontario. In eastern US, it occurs from Maine southwards in the Appalachian Mtns to Kentucky, South Carolina, Tennessee and Georgia, and west to Minnesota and Iowa. It is recorded from all of the eastern half of US except AK, FL, Iowa, and LA. Viola pallens (Banks ex DC.) Brainerd. Rhodora 7 (84): 247. 1905. V. pallens and V. blanda have had a very confusing taxonomic history. Brainerd (1905b) outlined the early changes: For many years the white violets, excluding the two Linnaean species Viola primulifolia and V. lanceolata, passed as one species under the name V. blanda, Willd. (1804). Le Conte in 1828 was the first to separate from this aggregate his species “V. amoena”; and in 1870 Dr. Gray recognised and named V. renifolia. The specimen that Willdenow described as V. blanda appears to have been a living plant sent from near Philadelphia and though a dried specimen of it has never been found, a very good colored plate does exist. Dr. Britton in 1905 determined that this drawing of V. blanda represents what LeConte had been calling “V. amoena”. This led Brainerd to conclude that the name V. blanda must be restored to its original application, displacing “V. amoena”, thus requiring a new name for the remaining species that Americans had been incorrectly calling V. blanda (i.e. what is now V. pallens). 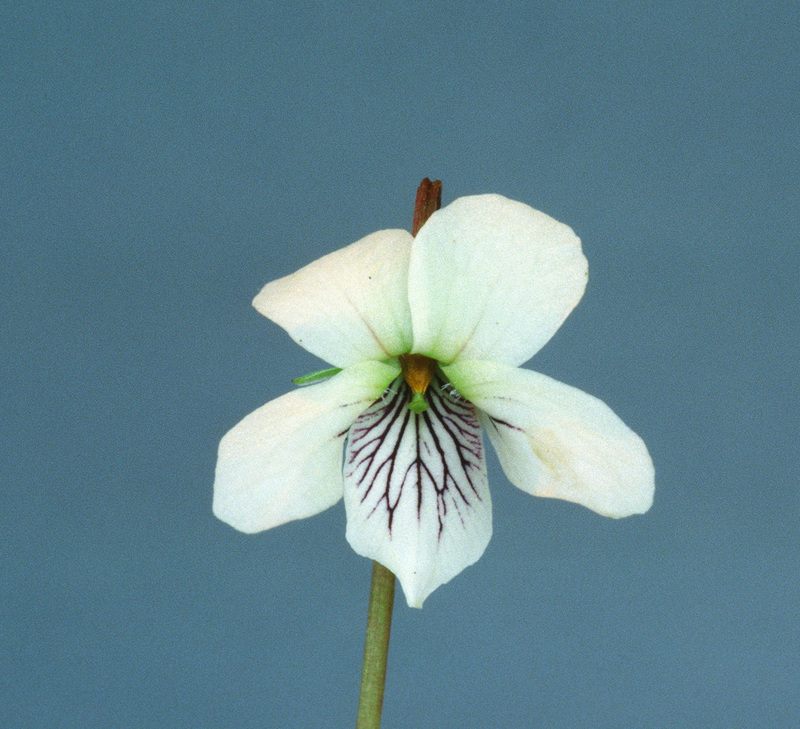 An older herbarium specimen collected by Banks in Labrador had been named “Viola rotundifolia, ß. [beta] pallens” by DeCandole. 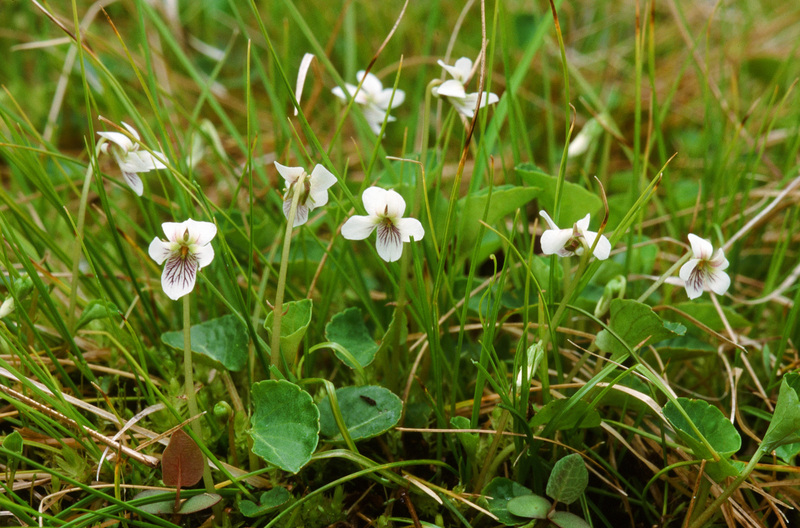 When Fernald, in 1903 pronounced the Labrador plants to be what was been incorrectly being called V. blanda, the smallest of our white violets Brainerd in 1905(b) renamed it V. pallens. In 1953 M.S. Baker changed the name V. pallens to Viola macloskey Lloyd subsp. pallens (Banks ex DC.). In 1961, C.L. Hitchcock published a new name: Viola macloskeyi Lloyd var. pallens. The latter was reduced to synonymy within V. macloskeyi (L.E. McKinney & N. H. Russell, 2002). Chromosome studies by Marcussen (2010) andd Ballard (2010, pers. com.) have separately shown that it is a species distinct from V. macloskeyi , so must reverted to its original name of V. pallens. Ballard et al. (2001) showed that the species V. domingensis Urb. from the island of Hispaniola (Dominican Republic and Haiti) is a disjunct population synonymous with V. pallens. Next Post Viola palustris group, introduction. 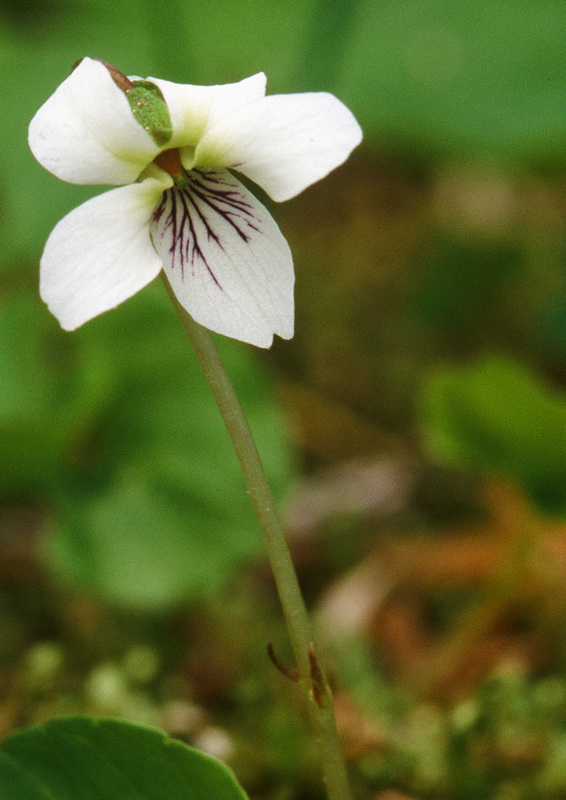 Northwestern Viola sp. nov.